I don't know if it is a January thing, but I feel like I should be hibernating these days. 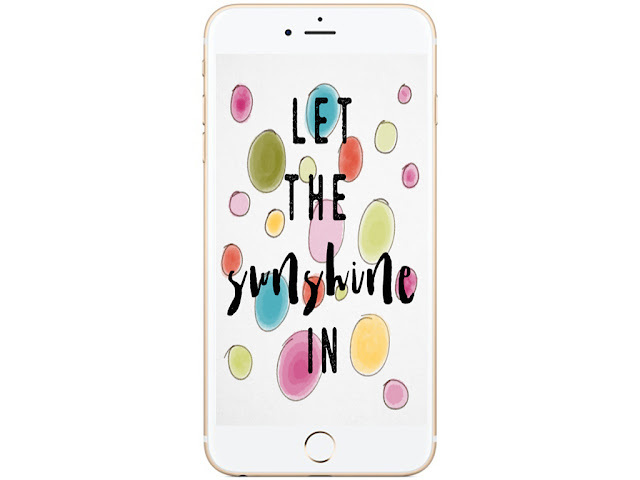 Because we all need a little light, and a little motivation after the Holidays, I created this bubbly little iPhone wallpaper to brighten up my day and remind myself to let the sunshine in. It's cropped all wrong on the preview picture but once you download the file you should be just fine.